Are you a business owner, freelancer or remote worker travelling to Vietnam? Subscribe to our newsletter and get instant access to your ultimate guide of coworking spaces in Vietnam! Sorry Thailand, but we have a new favourite in Southeast Asia and it’s not you anymore. Finally, we can say that we know what all of the fuss is about with Vietnam. After years of hearing about it, we get it. Maggie and I had an incredible time experiencing as much of this fantastic country as possible for just under a month. PS. This Vietnam travel guide is seriously long; so grab a coffee (bonus points if it’s Vietnamese coffee) and get comfortable. Vietnam is a culture-rich, adventure paradise that will assault all of your senses with plentiful food and infectious smiles. Imagine The Beach and Jurassic Park had a baby, and you’re about halfway to the natural beauty of this country. As a self-confessed history nerd, my Vietnam knowledge was borderline Jon Snow level before planning this trip. I knew nothing. It wasn’t until visiting some of the major museums and historic sites that I started to understand how complex it all was. Originally a part of Imperial China, Vietnam has unfortunately been on the receiving end of some harsh treatment from external forces throughout history. The Vietnamese say that they endured meddling from the Chinese for 1000 years, the French for 100 years and the Americans for 10 years. Throughout all of that, their identity has remained intact and resolute. I was so impressed with how welcoming the Vietnamese people were considering their turbulent history with foreigners. It can’t be easy to move on from that. Vietnamese culture has been greatly influenced by China and Confucianism. Even the language has some similarities to Chinese. Don’t let the apparent similarities between the English and Vietnamese alphabets fool you though; speaking Vietnamese will take a LOT of practice. With a population of over 92 million people, Vietnam is a fast-paced but slow country. It’s hard to describe, but the chaos of the traffic and congestion seems secondary to the simplistic and peaceful way of life that each Vietnamese family enjoys. Ho Chi Minh is undoubtedly one of the most famous Vietnamese people to have ever lived. During his life, he travelled extensively, as most political leaders do, but it seems that he is still clocking up some miles in the afterlife. Although his embalmed body is on display for most of the year at his mausoleum in Hanoi, for 2 months of the year (September 4th to November 4th) ‘Uncle Ho’ actually travels to Russia for maintenance. Even stranger still is that it was his dying wish to be cremated. Now from the morbid to the malleable, as one of Vietnam’s most eclectic sports takes flexibility to the extreme. Scarcely heard of outside of Southeast Asia is the traditional sport of sepak takraw. Imagine a sport that’s sort of hacky sack meets volleyball, meets a Wayne Rooney-esque bicycle kick every minute. Seeing sepak takraw live is still on our bucket list, but it looks incredible! Vietnam is a very accessible introduction to Southeast Asia. For inexperienced travellers, it offers a budget-friendly destination with widely spoken English and great transport connections everywhere. For those of you with a few more passport stamps, Vietnam can be a great country to safely go off the beaten track for the first time. Get the giggles out of your system early. The national currency is known as the Vietnamese Dong (VND). I know, maturity levels right? It can be a hard one to convert accurately, so your best bet is to round off to the nearest 5,000 or 10,000 VND. At the time of writing, $1 AUD = 18,260 VND, $1 USD = 22,726 VND, £1 GBP = 29,944 VND, €1 EUR = 27,277 VND, $1 CAD = 18,694 VND and $1 NZD = 16,428 VND. Basically I just pretended that every 20,000 Vietnamese Dong was worth 1 Australian Dollar and it was easy from then on. Cash is king in Vietnam, and for the coin haters amongst us (myself included) you are in luck. Notes reign supreme, the highest being 500,000 VND and the lowest 1,000 VND. The larger notes are colourful and plastic-coated, which is handy and only the smaller notes remain in paper form. All notes also have Ho Chi Minh’s face emblazoned on them, so make sure you check how many zeroes you are handing over carefully. ATMs are everywhere in the major cities, but be warned, some of them charge very high withdrawal fees. The limit that each bank’s ATM will let you withdraw varies, but generally it is around 2-3 million VND. That works out to be between $110-165 AUD as a maximum, with a standard charge of around 3-4% being common amongst the Vietnamese banks. HSBC and ANZ will sometimes allow up to 5 million VND, but the charge is as high as $10 AUD for these ATMs. Yuck! Vietnam travel guide top tip: To avoid paying these ridiculous fees, try to find the closest Military Bank (MB) ATM. They aren’t as prevalent as you’d hope, but they currently have no withdrawal fees and a maximum withdrawal of between 3-5 million VND. Another great alternative is Agribank, which has a fee of only 22,000 VND ($1.20 AUD) for a 3 million Dong withdrawal. You can pay for large purchases on your debit or credit card in hotels, retail stores and some restaurants, but be sure to check if there is a 3% card fee added onto your purchase before committing. US Dollars can also be used occasionally (mostly at hotels and tourism offices), and you will notice that a lot of the tourism industry will advertise their prices in USD as well. Don’t rely on the acceptance of any currency other than the Vietnamese Dong though, especially in smaller cities. We travel with a Citibank Plus account (debit) Mastercard whenever we go overseas, which has no currency conversion fees or ATM charges abroad, so it saves us quite a bit of money. You can also find relatively good money exchanges at a lot of the airports and major hubs around each city, but as always, shop around to find the best rate. For more money-saving tips, check out this budget travel guide. Language-wise, Vietnamese can prove to be very difficult for native English speakers to get their heads (and tongues) around. Vietnam has a very high literacy rate and the majority of locals who come into regular contact with tourists will speak a little English. A phrasebook can only get you so far in Vietnam; it is best to find a few videos on Youtube so you can master the actual pronunciation of some key phrases. The word for ‘vegan’ and ‘fire’ is nearly identical so Maggie had fun with that one. You need to be ready for the onslaught of traffic that comes hand-in-hand with a population of 92 million people and 45 million motorbikes! Taxes on cars are quite high in Vietnam and so every man, woman and child seem to get around on two wheels. Vietnam travel guide top tip: As a pedestrian, you need a lot of faith (and balls) to simply cross the road here! Red lights are just suggestions and gaps in traffic only last for a split-second before they are filled. To survive, you must walk slowly but with purpose, and make eye contact with drivers so that you can be sure they will go around you. If you are waiting for drivers to stop and let you pass, you’re in for a long day. Vietnam travel guide top tip: Lastly, and most importantly, most foreign visitors to Vietnam require a visa to enter. Although it is known as a visa “on arrival” or VOA, you will need to arrange this in advance as visitors need a visa approval letter to be let in the country. You cannot simply arrive at the airport and expect to get in without this letter. There are many VOA companies online who arrange this visa approval letter and it is worth doing your research as to which ones are legit and which are not. We used Vietnam Visa Pro and they were efficient and worked out fine. There is also a stamping fee to be paid at the airport or place of entry too, so work that into your budget. It varies depending on the length of your intended stay and whether you have organised a single entry or multiple entry visa. As with any country that you visit, ensuring that you have the correct visa is completely your own responsibility. We met people who had to pay a ridiculous amount of money ‘under the table’ to the guards at the airport because they didn’t have the visa approval letter and their travel agent hadn’t given them the correct information. Ask anyone from Vietnam about the weather and they will tell you that there are two main temperatures: hot and very hot! As with the rest of Southeast Asia, humidity is rife. There were times when I was convinced that I was the sweatiest man in the entire country. That said, the weather is still quite regional, and Vietnam is a great destination to consider at any time of year. In the south of the country the dry season is from November through to April, and the warm wet season from May to October, with June to August having the highest levels of rainfall. Central Vietnam has a hot, dry climate from January to August, with September to December the wettest months. In the north, the months from May to October are very hot and humid with high rainfall and November to April is a cooler period. The far north can be very chilly in December and January, and it can even snow in the mountainous areas. We visited Vietnam during July and August and found the weather to be fantastic. Yes, it’s very hot and humid but that’s Southeast Asia for you. The temperature hovered between 25 to 35 degrees Celsius (77 – 95 Fahrenheit) most days. It was perfect for adventure sports, going to the beach (over 3,200 kilometres of coastline!) and spending our days braving the masses of motorbikes whilst wandering around cities. 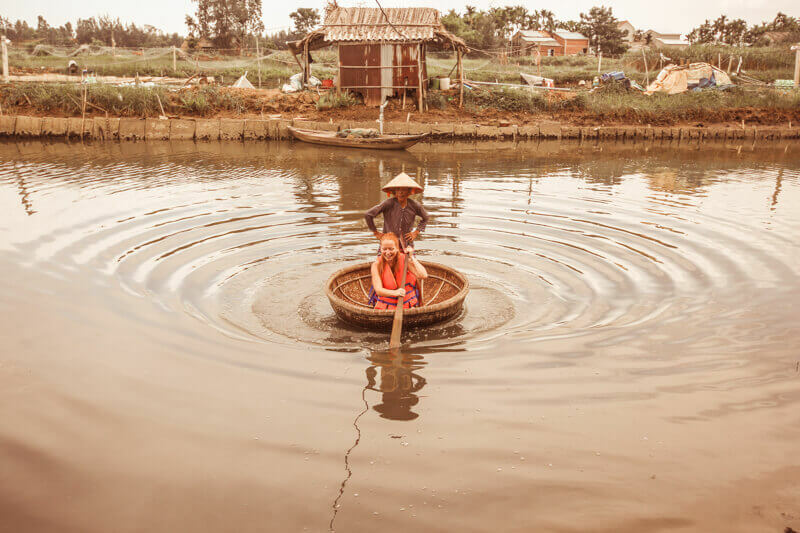 Vietnam travel guide top tip: The peak time to visit Vietnam is generally during each region’s dry season and over the major Vietnamese holidays. The big one to watch out for is Têt, or Vietnamese New Year. The celebration celebrates the start of spring according to the Vietnamese calendar and is usually in January or February. Transport and accommodation is booked well in advance during the holiday as many locals visit their extended family during this time. Although there are numerous entry points from Cambodia, Laos and China on land, it is far easier for travellers to enter Vietnam via the air. There are embassy services in Cambodia and Laos in particular that can organise a visa so that you can catch a bus into Vietnam, but it is worth researching this thoroughly before going ahead. For travellers who are entering Vietnam using a visa on arrival, the land borders are not an option. Vietnam has major airports in many different cities, but the two largest are the Tan Son Nhat International Airport in Ho Chi Minh City and Noi Bai International Airport in Hanoi. There is also another international airport in central Vietnam, located in Da Nang. The majority of travellers do either a north to south route starting in Hanoi or a south to north route starting in Ho Chi Minh City. As a destination that has significantly increased in popularity recently, Vietnam has great international flight connections. All the major Asian hubs are represented, with plenty of flights from Singapore, Kuala Lumpur, Hong Kong and Bangkok. 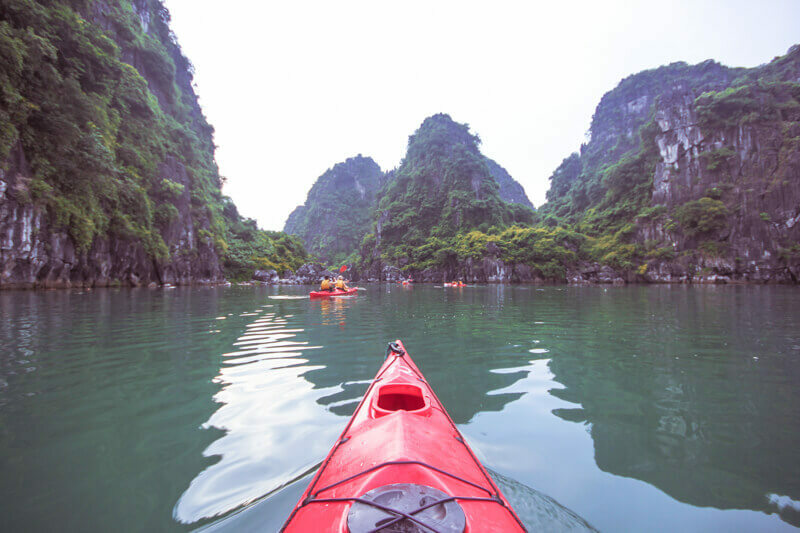 Depending on where you choose to fly into, check out the Kayak Direct Route tool for both Ho Chi Minh City and Hanoi to see whether your home city has direct flights. Be sure to check out our budget travel guide on cheap flights for tips on how to find a bargain flight into Vietnam. Vietnam travel guide top tip: Maggie and I ended up flying into Ho Chi Minh City from Phnom Penh (Cambodia), which is the shortest international flight into Vietnam at only 55 minutes. Our visa on arrival took about 30-45 minutes as we were fairly organised with our passport-sized photos, visa application form and visa approval letter already ready to go when we got to the counter. We also already had US Dollars to pay for the stamping fee; definitely recommended! Vietnam is a very affordable destination overall and luckily accommodation is no different. There are so many options that you’ll likely be spoiled for choice. Hotels and hostels are absolutely everywhere and most of them are small, family-run affairs rather than large chains. For lovers of the shared accommodation vibe, there are also plentiful options with both Airbnb and Couchsurfing. Housesitting, unfortunately, has not caught on yet in Vietnam. Culturally, many Vietnamese people run their own businesses out the front of their own homes, so you can easily see why this wouldn’t work. A search on our go-to website, TrustedHousesitters.com revealed only 1 place in Hanoi and 1 in Ho Chi Minh City at the time of writing. When deciding which accommodation website you should search and book with, it really comes down to personal preference. Agoda is fantastic for Asia and has a huge amount of results for Vietnam; this is usually our first port of call. For comparison’s sake, I usually find the same property on Booking.com to see if the price is any better. If it’s a hostel I’m looking for then I’ll just go straight to Hostelworld. 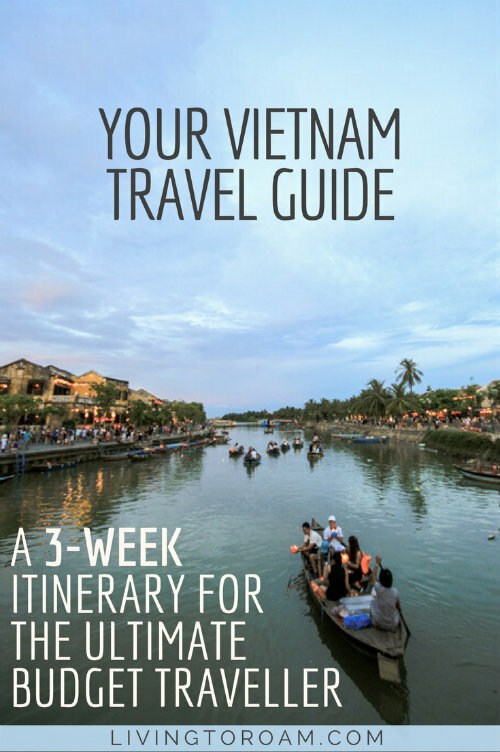 I’ve used all three in this Vietnam travel guide. Known as ‘Saigon’ to the locals, HCMC is the biggest and most populous city in Vietnam. With an added bonus of the fact that its 24 numbered districts (Quận) will definitely remind you of the The Hunger Games. This is compounded by the fact that each time you cross the road here you feel like you might be risking your life or volunteering as tribute. The majority of hostels and hotels are located in District 1, the heart of the action. Traffic is fierce, food carts abound and the majority of tourist sites are close-by. There are over 1,800 properties available on both Agoda and Booking.com in HCMC and 750 of these are in District 1. Price-wise you can quite easily find a budget hotel double room for between $15-25 AUD per night. A lot of these will include free Wi-Fi and breakfast, and I recommend refining your search to include as many of these extra bonuses as possible to sift through the masses of results. On the hostel front, Hostelworld provides a total of 108 hostels in HCMC. Dorms are cheap as chips here, expect to pay $8-12 AUD per night in a shared room and around $20-30 AUD per night for a private room. 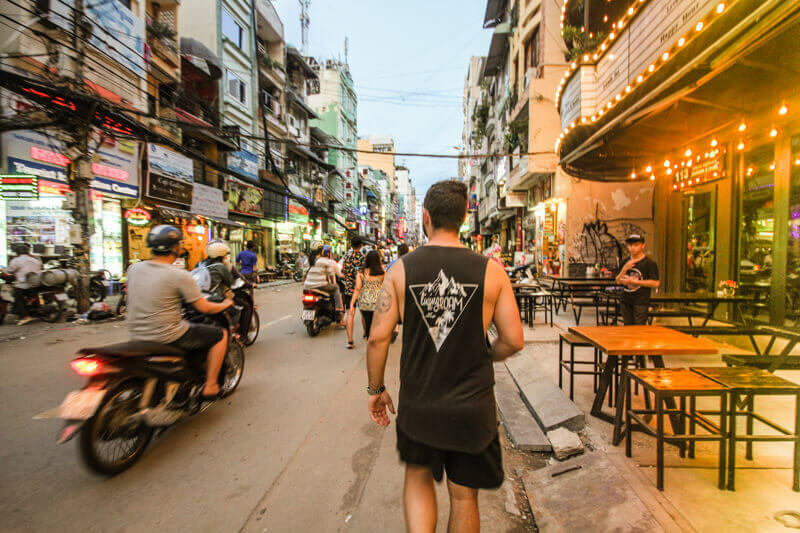 The line between hostels and hotels is quite blurred in Vietnam, and aside from the expected hostel atmosphere, the difference between the two is only really in the name. We stayed at Long Hostel here and really enjoyed it, plus they had free beer for an hour each night! The average price of an entire home on Airbnb in HCMC is $88 AUD per night, but as I’ve stated in our previous complete travel guide on Iceland, this includes the seriously high-end, MTV Cribs style apartments that most budget travellers can only dream about. Refining our search to a maximum price of $30 AUD per night still gives us almost 200 results, so this is a great place to try Airbnb for the first time at a low price. New users can also take advantage of our $50 AUD discount code too. Avid Couchsurfers will be pleased to know that there are nearly 35,000 hosts in HCMC alone! Arriving in this beachside city can be a little bit of a culture shock for those not expecting the surprising number of Russian tourists who make the journey every year. A large Russian naval base was located in nearby Cam Ranh (the closest major airport to Nha Trang) in the 1970s and soldiers and sailors alike grew quite affectionate of this part of Vietnam. They’ve been spreading the word ever since. 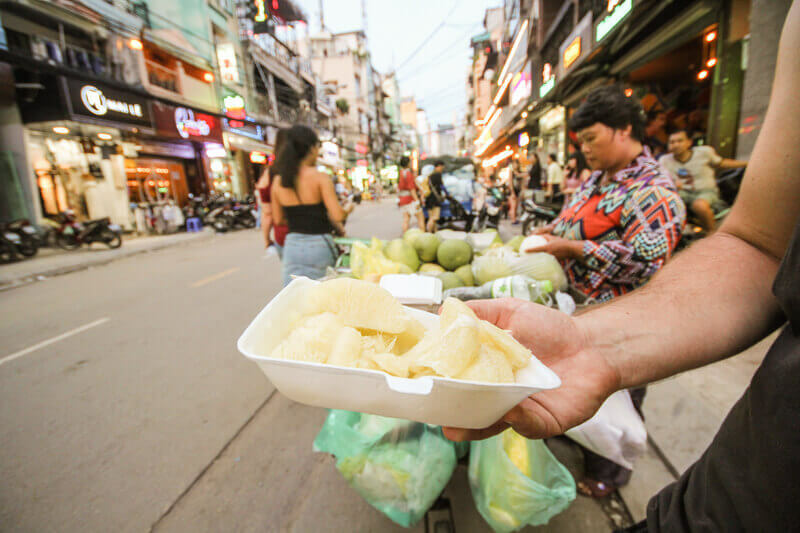 The majority of visitors stay as close to the beachfront as possible, with the area around Biet Thu and Nguyen Thi Minh Khai streets being where the main action is. For others, staying a few kilometres away from the hustle and bustle of Nha Trang is preferred, with fewer accommodation options but also far less people and more tranquillity. Unlike their counterparts in Ho Chi Minh City, hotels in Nha Trang are generally larger. The inclusion of swimming pools can be a big selling point for those who aren’t big fans of sand and seawater too. There are 590 properties available through Booking.com and a similar number on Agoda in total. Prices under $25 AUD per night are not hard to find, although when opting for results only with a free breakfast and swimming pool there are around 40 properties between $35-65 AUD per night. There are 31 hostels in Nha Trang to be found on Hostelworld. Dorm prices start as low as $6 AUD per night, and private rooms hover between $20-40 AUD per night for the most part. Maggie and I stayed at iHome Nha Trang, which we found to be quite reasonable and in a great location. Airbnb options don’t come as cheap as they do in HCMC, but an example search gave us just over 100 rentals with a maximum price of $50 AUD. Many of these are high-rise apartments with an ocean view, so it might be worth the extra investment for that alone. There are also 185 Couchsurfing hosts in Nha Trang. 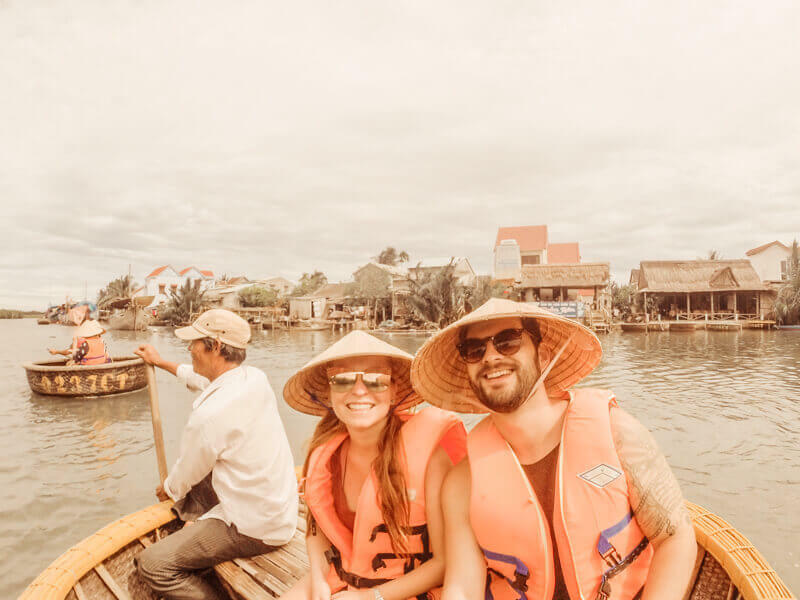 Vietnam travel guide top tip: The beautifully quaint town of Hoi An could just about be the highlight of your Vietnam trip. It was certainly a contender for us. Any place that can combine lanterns, cute coffee shops and a laidback atmosphere, is a winner in my eyes. When it comes to accommodation, you have a choice between staying near Old Town or one of the nearby beaches, Cam An and Cua Dai. Hoi An is very compact, and you can explore the area very easily on foot or by bike; keep that in mind when selecting a place to stay. There are just over 600 properties there listed on Booking.com and Agoda, and a very large portion of them with stellar ratings. Over 50 of these hotels with ratings of at least 9 or more out of 10 included breakfast and were priced at less than $25 AUD per night! Even spending an additional $10 per night can land you a 3-star hotel with a pool. Hostels are plentiful on Hostelworld and there are 107 to choose from currently on the website. The average bed in a dorm will cost you $7-12 AUD per night and a private room around the $25 AUD per night mark; the majority of these being near the Minh An Old Town area. We personally stayed at DK’s House, which was a lovely hostel run by expats and only a 5-minute walk from the centre of the old town. Hoi An is a little light on Airbnb options, there are currently only 30 results for an entire home under the $50 AUD per night price bracket. 329 Couchsurfing hosts are registered in Hoi An. Although it was only a short stay for us, we enjoyed the beaches and coastline of the city a lot more than expected. 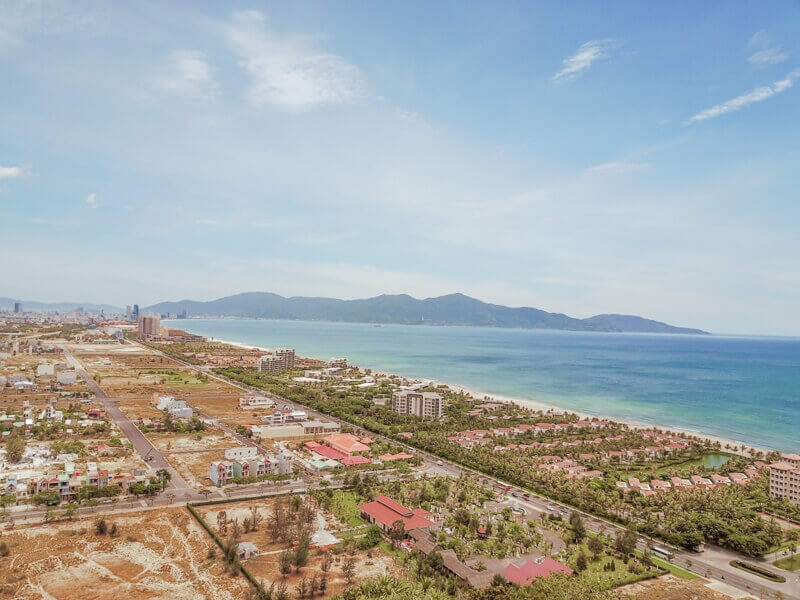 Da Nang is a great launching off point for travelling through central Vietnam due to its transport connections and international airport. The accommodation choices are spread fairly wide, and Da Nang itself is split into two parts by the Han River. Agoda edges out Booking.com in the availability stakes here, with nearly 100 more results and a total of 950 properties in Da Nang. 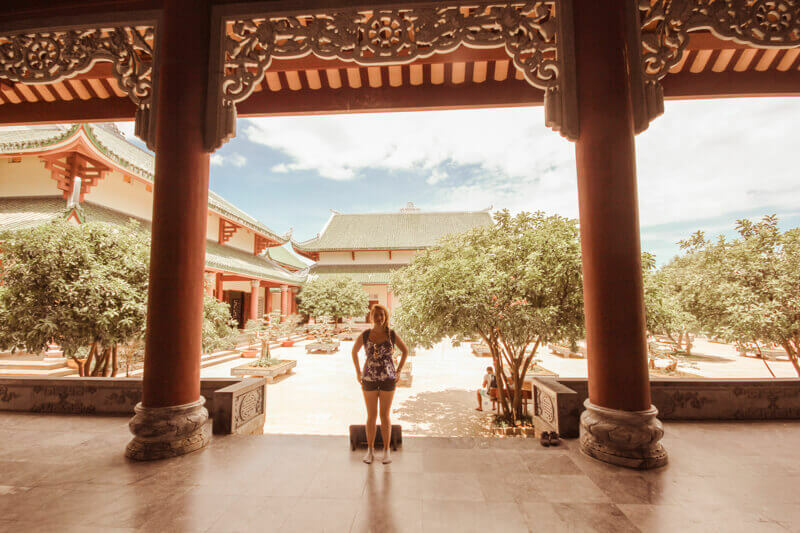 Despite its commercialised and business-like nature, Da Nang is very affordable and there are around 75 options that include free Wi-Fi, breakfast and are priced between $15-30 AUD per night. You can also find a property quite close to the beach without having to pay a premium for it. We booked at Funtastic Beach Hostel, which aside from having an awesome (albeit childish) name, was only 100 metres or so from the beach, and offered a free transfer service from Hoi An AND a free airport shuttle too. Elsewhere on Hostelworld there are 44 hostels to choose from. Dorms are between $7-12 AUD per night and private rooms between $15-25 AUD per night with a few outliers in a higher price bracket. There are just under 50 Airbnb options in Da Nang for less than $50 AUD per night. Couchsurfing is a little more popular here, with nearly 4000 hosts. Staying on the east side of the Han River was definitely beneficial for us as we were closer to the coastline views and the beaches here were clean and tout-free. If beaches aren’t your thing, the west side has more shopping and is closer to the airport. Big-city-living in the north of Vietnam doesn’t come any larger than Hanoi. The capital is the gateway to all travel options in the region and you will likely use the city as a base to come and go as well as a worthy destination in its own right. Lying on the right banks of the Red River, Hanoi is a great city to indulge in museums, street food and traffic dodging. Like Ho Chi Minh City, the city is divided into districts, and the majority of visitors locate themselves in the Hoan Kiem (Old Quarter) district. Hotels are everywhere in Hanoi, a whopping 1150 are listed on both Agoda and Booking.com. This means you can afford to be very particular with your search parameters due to the sheer volume. Staying in high-quality budget accommodation is easy, with over 80 results rated an 8 or above out of 10 within the Hoan Kiem district. These were also priced at less than $40 AUD per night for a double room with free breakfast and Wi-Fi. Hostelworld also has plenty of bargains, with a total of 137 hostels. Dorms here can go for as cheap as $5 AUD per night and private rooms are largely priced between $20-35 AUD per night. We stayed in two different accommodations in the old quarter, Hanoi Brother Inn & Travel and Hanoi Buddy Inn & Travel; both with the same ownership and staff. We were super impressed with the friendliness of these staff in particular and they were incredibly eager to help. They also made a mean phở for breakfast! Couchsurfing is definitely a viable option here, with over 23,000 hosts registered in the city. Airbnb rentals are plentiful too, and with a modest maximum price of $30 AUD per night there are over 80 entire homes to choose from. As Hanoi is a place that many travellers use as a base for day trips and short stays around northern Vietnam, it is important to consider your onward travel plans when picking a hostel, hotel or apartment. Far from the hustle and bustle of Hanoi, lies the rural village of Sa Pa. 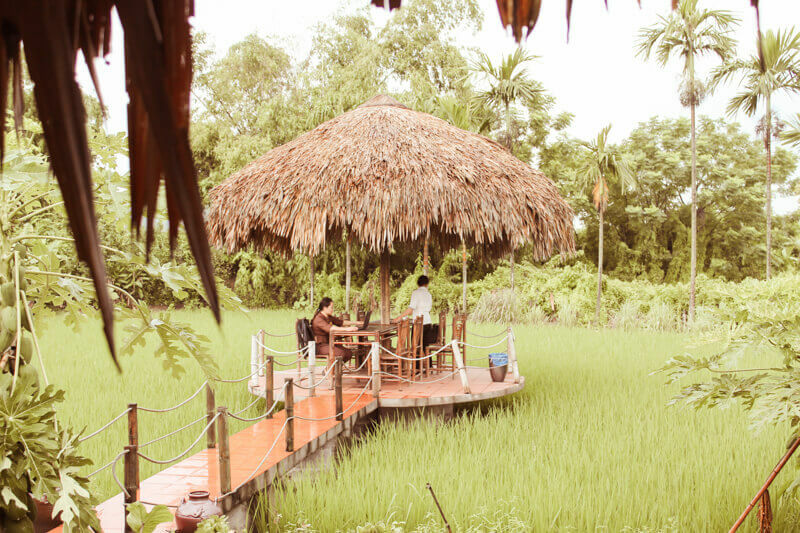 If you’ve seen any beautiful photos of the rice fields in Vietnam, chances are they were taken here. Sa Pa is 380km northwest of Hanoi and worlds apart in terms of accommodation availability as you’d expect. Up until the late 1990s, Sa Pa was scarcely visited by any non-Vietnamese tourists. Nowadays, its popularity has soared and the tourism industry is starting to adjust to the demand. In terms of location, Sa Pa offers two distinct choices – options within the town centre, and options outside of the centre. If you do book somewhere outside of the centre, try to choose a place that offers free transfers. On Agoda and Booking.com there are about 270 properties listed, with the majority well and truly in the budget category. Almost 70 of these hotels were priced under $30 AUD per night for a double room with an included breakfast and free Wi-Fi. Hostelworld has a total of 34 hostels and homestays available through its website. Homestays are really popular in Sa Pa, offering a more ‘authentic’ local experience, however this comes with a grain of salt. Only book a homestay that has verifiable reviews (from Hostelworld or Tripadvisor for example) as it is common for locals from a hill tribe to approach tourists on the streets of Sa Pa promising a homestay that might not be up to standard when you arrive. Dorm rooms in Sa Pa are barely over $10 AUD per night, and privates range from $15-30 AUD per night on average. Maggie and I spent some time staying in the town centre at Go Sapa Hostel and found it to be cheap and cheerful. The views were glorious from our balcony and food was tasty too. We also met some lovely people who raved about the My Tra Homestay, about 9km out of the main town. This has got an astonishing 9.9 rating on Hostelworld from over 400 reviews! If you’ve read my post on the best cheap hostels we’ve stayed at around the world then you’ll know that this rating is amazing. Airbnb and Couchsurfing, as expected, are not great options in a rural area like Sa Pa. There are still somehow 15 hosts on Couchsurfing and 20 listings on Airbnb for less than $50 AUD per night (although half of them seem to be different rooms at the same hotel). Vietnam travel guide top tip: Everybody loves a bit of luxury now and then, and for us it came at the end of our Vietnam trip in Sa Pa. We chose to spend a night at the magnificent Topas Ecolodge, nestled on a hilltop in the Muong Hoa valley – about 18km away from Sa Pa town. If you can manage to find availability, which is half the battle, then you’ll be able to enjoy one of the most peaceful and gorgeous places we’ve ever stayed. As close to heaven as it gets? Our executive bungalow cost $175 USD per night and it was well worth it. There are also premium executive bungalows and suite bungalows at $195 USD and $295 USD per night respectively for those of you who want the full kit and caboodle. The price includes a massive buffet style breakfast and a free transfer from the Topas Travel office in Sa Pa town. Plus there’s an awesome infinity pool! We don’t often (or ever) spend that much on accommodation but we’re so glad that we did this time. Make sure you check out our budget travel guide on accommodation for even more tips and tricks! Vietnam’s cities vary from extensive concrete jungles to quiet villages where time moves incredibly slowly. Geographically speaking, Vietnam is long and skinny, and shaped like an ‘S’, which makes it great for one-way travel either north or south. There are so many options for getting between cities, but first let’s look at how to go about transport within a city. Unfortunately, there aren’t any metro systems just yet in Vietnam – the first will be in Ho Chi Minh City, which is planned for completion in 2020. Walking is therefore a great way of getting around, but as I mentioned above, it is certainly not the passive activity that it is everywhere else. You need to really pay attention to everything around you, as even the footpaths are not free of motorbikes here. Taxis are very affordable in Vietnam, but you have to be very careful to choose a legitimate company. There are hundreds of copycats and taxis with meters that have conveniently ‘stopped working’ – so stick to using either Mai Linh, Vinasun or Hanoi Taxi Group. They are probably the only legitimate taxi companies according to our experience. Taxi fares are shown without three zeros on the end too, so a meter reading ‘30’ is actually 30,000 VND. Vietnam travel guide top tip: Offering even better value than taxis are ridesharing apps Uber and Grab. Uber might dominate the market globally, but in Southeast Asia, Grab is king. Grab is currently available in Malaysia, Indonesia, Thailand, Singapore, the Philippines and of course, Vietnam. We used Grab at every occasion possible during our trip and saved a lot of money. As long as you have an Internet connection (we mainly used airport and accommodation Wi-Fi) you can book a ride and the fare is fixed. This is great piece of mind especially when taxis can vary so much in price. I connected the Grab app up to my Citibank card and didn’t have to worry about having the right change either. Hot tip: choose the GrabShare option to save 30% on your fare. You can bring one other person with you and the driver may pick up another person going in the same direction (although this never happened to us). Vietnam travel guide top tip: When it comes to getting from city to city in Vietnam there is a myriad of options. There’s a fantastic website called 12Go which is like a Rome2Rio style tool that focuses solely on Southeast Asia. Just plug in your origin and destination cities and 12Go will tell you all the different ways to get from A to B. For example, if you want to go from Ho Chi Minh City to Nha Trang you’ll discover over 40 options that cover flights, buses and trains. Each option displayed will show a price, departure and arrival time, and some of them even include reviews. Plus you can complete most of the ticket purchases on the website. Vietnam Airlines and VietJet Air are the two local airlines that you’ll most likely use flying domestic. They both have a number of international links, as do the standard low-cost internationals like Jetstar, AirAsia etc. I found both the Vietnamese airlines to be fantastic and fairly reasonably priced if you book well in advance. The only problem I had with VietJet was the song ‘Hello Vietnam’ by Pham Quynh Anh being played every time you land. It really gets stuck in your head for days! There is such a high volume of flights between some of the major cities that you can usually find a bargain, especially going between Hanoi and Ho Chi Minh City. Keep in mind that the closest airport to Nha Trang is in Cam Ranh, even though the flight ticket might actually be sold as saying ‘Nha Trang’. Also there is no airport in either Hoi An or Sa Pa, the closest airports are Da Nang and Hanoi respectively. Train travel is popular in Vietnam, in particular for locals taking the long journey between Hanoi and Ho Chi Minh City in sleeper carriages. Vietnam Railways is the main operator, but there are other smaller companies too. Although we didn’t personally travel by train, we heard mostly good things from other travellers we met along the way. Remember that a sleeper train saves you paying for a night of accommodation so the occasional high prices can still be worthwhile. Aside from flying, catching buses was our main mode of transport between cities in Vietnam. A popular company that we used regularly was The Sinh Tourist (not to be confused with Sinh Cafe). With distinct white and blue buses, we found the service to be professional, timely and comfortable. 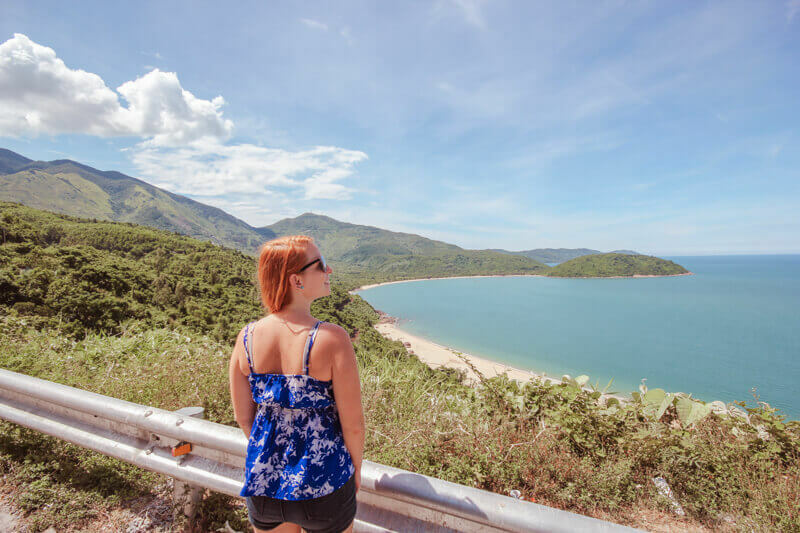 The longest journey we took by bus was between Nha Trang and Hoi An, which was an overnight trip that only cost 219,000 VND ($12 AUD) – extremely cheap. For convenience and price, the overnight bus option seemed far superior to trains in my opinion. That said, if you’re over 6 feet tall you might want to consider flying, as the pods that you sleep in are built for Vietnamese height. If you are staying in an upper-level pod you’ll also have to rest your hand luggage on top of you, and probably need an extra layer due to pumping air conditioning. Vietnam travel guide top tip: Another company that we used was Sapa Express between Hanoi and Sapa. They had very comfortable seats with reasonable prices at between $13-16 USD one way. The best part of using Sapa Express was that it took just over 5 hours to get to Sa Pa from Hanoi, leaving at 7am and arriving just after midday. This was miles better than catching an overnight train or bus from Hanoi, having a crappy sleep and then being tired for your first full day in Sa Pa anyway. Plus, most accommodations won’t let you check in until after 12 o’clock, so this bus arrives at the perfect time. Having travelled to Sa Pa during the day by bus, I would never consider an overnight option. The two-wheeled favourite is how the majority of Vietnamese make their way around the country. Motorbikes and scooters are incredibly cheap to buy in Southeast Asia, and you will find “for sale” ads posted up at a lot of hostels around Vietnam. While we didn’t personally travel by motorbike except for an awesome food tour in Ho Chi Minh City that I’ll talk about below, it seemed like a viable option for travellers to ride all over the country after purchasing a bike. If you are planning on doing this, do your research and make sure you don’t make the decision hastily. Also, don’t fall into the trap of thinking that just because you are in a country where everyone rides a motorbike that you have suddenly acquired riding skills that you’ve never had before. Vietnamese traffic requires serious skill to navigate. The locals also have Zen-like patience with people who cut them off so you’ll need to get used to biting your tongue if you’re prone to a get a little hot-headed. Another alternative is to take an ‘easy rider’ tour, which is a tour on the back of a motorbike with an experienced local rider. There are many companies claiming to be the original easy rider but, like everything else in Vietnam, check online reviews and ask around at your accommodation and you’ll likely be fine. These tours vary between simple day trips to complete two and three-week journeys. Self-drive rental cars are unavailable in Vietnam, which is perhaps another reason why motorbikes are so popular with travellers. The traffic congestion would be enough to put most visitors off anyway. An alternative to this is to hire a driver-guide for a day trip or multi-day tour. This is common in Vietnam and there is no shortage of choices. Ask your accommodation for recommendations; they usually have a few go-to contacts that they trust with their guests. Lastly, there is always the option of doing an organised tour. Popular companies like Contiki, Topdeck, G Adventures, Intrepid and Busabout are all represented well in Vietnam. There are other lesser-known (but positively reviewed) options too, like Stray Asia and Intro Travel. When it comes to which company to choose, that is another blog post for another day, but know that travelling amongst a group has distinct advantages and disadvantages. Your trip will be run with a tight schedule, you cannot control who the other people are that you travel with and your free time is usually limited. That said, having your transport and accommodation taken care of is a huge bonus, and some of your travel companions could become your new best friends. Having a knowledgeable guide helps too. Ultimately you should base your decision on the itinerary. Does it include places you want to visit? Do the accommodation and the pace suit your travel style? Answering these questions should help you settle on a clear winner. Ho Chi Minh City, or Saigon, is the perfect introduction to Vietnamese history, culture and food. The hustle and bustle of the largest city in the country is overwhelming at first; even the act of simply crossing the road here is a culture shock. But once you spend a day or two in HCMC you begin to appreciate the finer details. There are certainly plenty of things here to keep you busy. A must for both history buffs and those even remotely interested in learning more about Vietnam War (or American War as the Vietnamese call it). 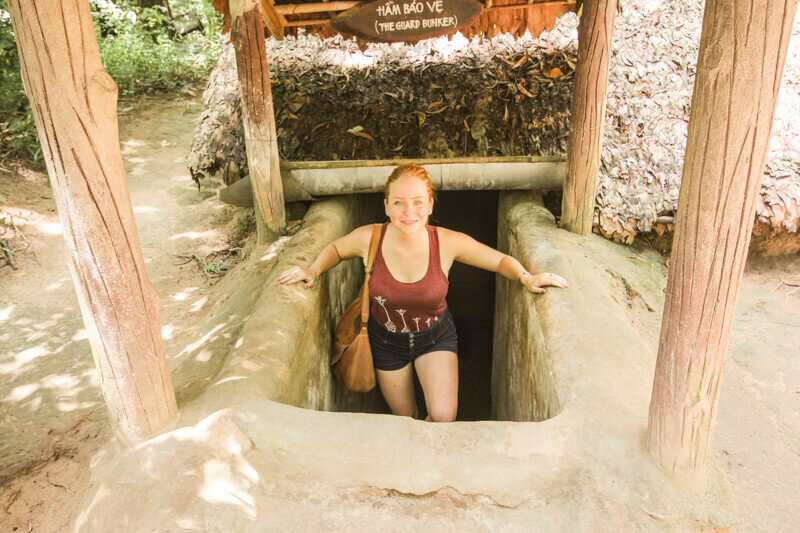 The Cu Chi tunnels are the former military base of the Viet Cong and today are frequented by tourists seeking to understand the unbelievable conditions that these Viet Cong soldiers endured. Although there are cheaper alternatives available, we chose to go premium for this experience and definitely felt that we made the right choice! We booked with a company called Les Rives due to their awesome Tripadvisor reviews; and they were absolutely top notch. The company was incredibly professional and we were lucky enough to have a brilliant guide, Duc, who took us around for the half-day. Another reason we chose this tour was the inclusion of hotel pickup and drop-offs, plus a speedboat ride along the Saigon River. This ensured that we got to the tunnels before busloads of other people – and trust me, there were plenty of those! I highly recommend going for the 7 am option as it includes a delicious traditional lunch by the river after you’ve visited the tunnels. This was seriously some of the best Vietnamese food we had on our entire trip. I’m still dreaming about the spring rolls weeks later. It also meant that we got to share our lunch with a lovely family from Hong Kong. Maggie and I love tours where we actually have time to mingle with other travellers so this was a treat. Find out more about this brilliant Les Rives tour here. A great concept that has really taken hold in Vietnam is that of university students running free walking tours. They get to interact with English-speaking travellers and practice their own English, plus travellers get a free tour with a young local. 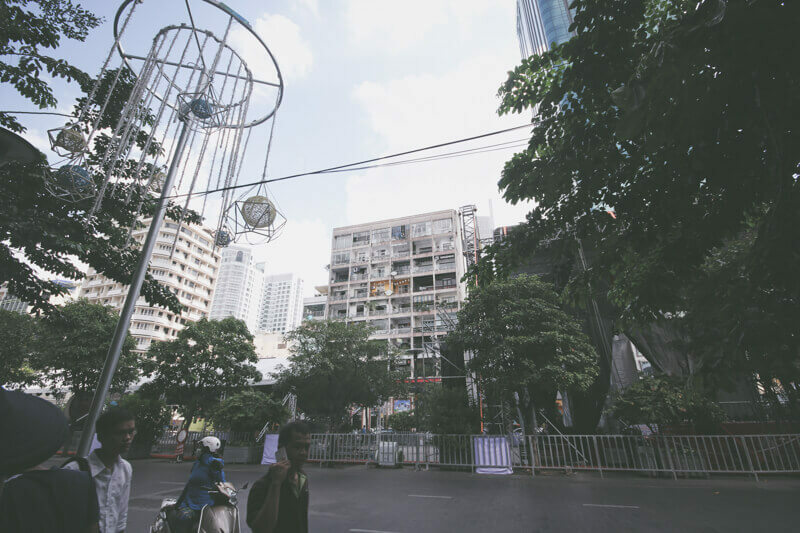 Maggie and I took a tour that started at Ben Thanh market and included the Notre Dame Cathedral, Central Post Office, Nguyen Hue ‘Walking Street’, and the Independence Palace. Don’t go in with high expectations of getting loads of historical facts, this is more of an orientation walk than anything else. Enjoying a coffee halfway through the tour and getting to know our guides and fellow travellers was a highlight. To reserve your spot, book in advance on the Saigon Free Walking Tours website. Courtesy of the lovely folks at Saigon Free Walking Tours again, this private food tour was one of our HCMC highlights. Our two guides met us at our hostel and for 4 hours we whizzed through crazy Saigon traffic eating as much as our bodies could handle. For two non-motorbike people like us this was a real treat. Our guides were absolutely hilarious and we spent the night getting to know them and listening to stories about the different districts we drove through. It was like hanging out with old friends. As Maggie is vegan, our tour was a little different from the itinerary on the website, but our clear food highlight was the three-storey banh xeo (Vietnamese pancake) restaurant in district 5. The craziest part is that we got a completely private tour for virtually nothing! Located at 42 Nguyen Hue (‘Walking Street’) might be my favourite collection of coffee shops I’ve ever seen. This 9-storey dilapidated building (pictured below) contains apartments that have predominantly been turned into cafes and teahouses that are opened to the public. Vietnamese coffee is delicious already, so paired with a cool concept and killer views over the streets below; it’s awesome. Saigon O’i, Partea and Thinker & Dreamer are three of the most popular offerings there. Fellow blogger Tom from Vietnam Coracle has a detailed, floor-by-floor guide on The Café Apartment here. Harrowing and not for the faint of heart, this museum is essential for those wanting to dig deeper into understanding the Vietnam War and the preceding French occupation. The displays are confronting, and I would seriously think twice about entering the room displaying the heartbreaking photos of Agent Orange and napalm victims. Although the content may seem a little one-sided and anti-American, it is rare to see a museum approach a testing topic like war with equal brutality. Nha Trang offers a welcome coastal respite from the chaos of Vietnamese city life. 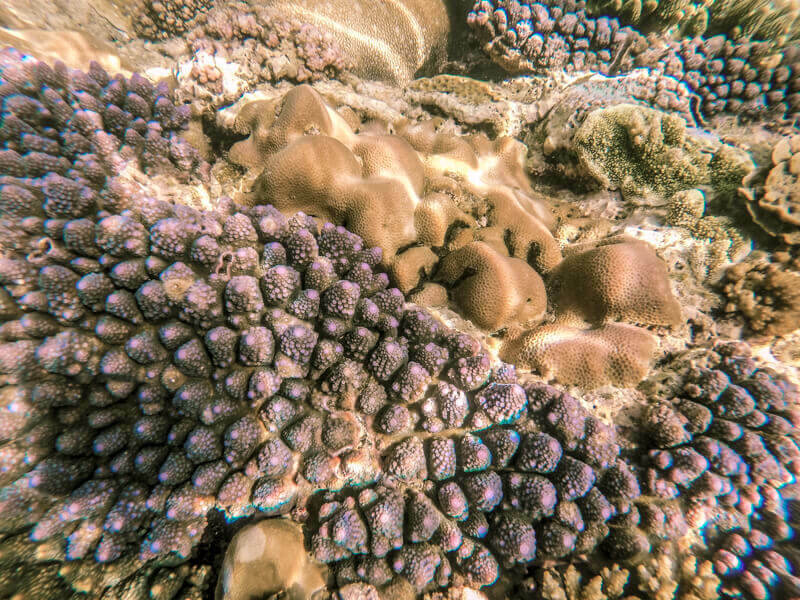 Beyond the masses of Russian tourists lining the beach lays a beautiful coral reef known as the Hon Mun Marine Protected Area. Snorkelling and diving trips should therefore be high on your priority list, along with mud baths and anything involving bulk relaxation. Keep in mind that the closest airport, Cam Ranh, is 35km away from Nha Trang and you’ll need to catch the yellow shuttle bus from the airport for 50,000 VND ($2.75 AUD) into town. Grab and Uber are non-existent from the airport at this stage. The Hon Mun Marine Protected Area is a fantastic place for both first-timers and experienced divers. The coral is plentiful and the water is really warm and relatively calm. To get out there you’ll need to choose from one of the plethora of snorkelling and diving shops that offer day trips. We chose Nha Trang Sea Star and had a brilliant experience. For a popular company, the trip surprisingly only had 3 other guests. We were provided with all the gear, a fruit-filled breakfast, a snorkel guide and even the chance to try out scuba diving at any stage of the day if we wanted. We enjoyed some of the most colourful coral we’ve ever seen, and plenty of fish too. Afterwards we were treated to a hearty DIY banh mi (Vietnamese baguette) and dropped off to our accommodation. Vietnam Active is another good alternative company to check out also. If sitting in a bathtub full of mud excites you, then Nha Trang is your new favourite place. Apparently the mixture of mud and mineral water is a great for your skin, so much so that there are 4 different places to choose from. Galina Hotel is the only one that is downtown; with the other 3 being a short motorbike or taxi ride away. I-resort is probably the pick of the bunch, featuring a slightly more relaxing and upscale experience compared to both Thap Ba Hot Spring and the fantastically named 100 Egg (Tram Trung). Despite the higher prices, it might be worth investing in a private bath (or private egg, seriously!) to avoid awkward under-the-mud brushes with strangers and increase your chances of feeling revitalised afterwards. It would be an oversight to not include this day trip in this Vietnam travel guide as you will no doubt see it advertised at every hostel and tourism office in the city. During our time in Nha Trang we heard very poor reviews of the 4 Island day tour, therefore we didn’t bother with the experience. A quick look on Tripadvisor sealed the deal for us, which includes numerous complaints of poorly run tours and echoed the thoughts of other travellers we met at our hostel. If you do choose to do this popular tour then be sure to find a well-reviewed company first, though it may prove difficult. Cost and time both vary. Some tours are as cheap as $7 USD, but remember that you get what you pay for. 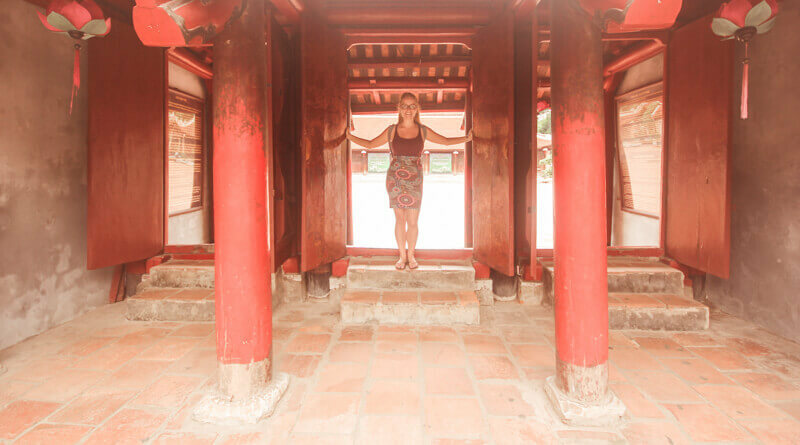 Visiting Hoi An is like taking a step back in time. With its ancient architecture, dazzling lanterns and riverside restaurants, it’s the perfect place to unwind and immerse yourself in Vietnamese culture. Meal time is a highlight of every Hoi An visitor’s experience, with so many fantastic options packed into the small Old Town that you could almost spend a week here without doing anything else but eating. As food lovers, we knew that we had to experience a Vietnamese cooking class at some point during our trip. 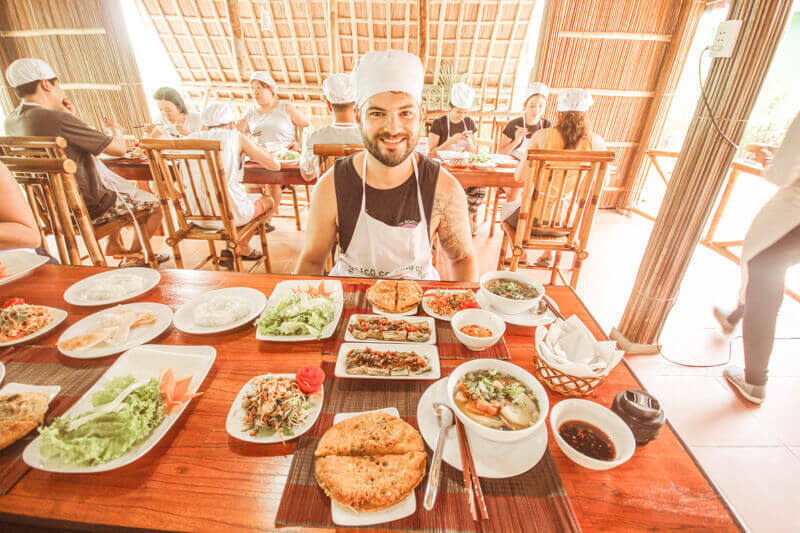 Hoi An is packed full of well-reviewed choices and we decided on Hoi An Eco Cooking Class. It was professionally run and a delightful experience from beginning to end. Even more impressive, Maggie was well looked after with fully vegan options provided to her throughout. Kien, our chef extraordinaire, picked us up and took us to a local market out of town where he educated us about the different types of foods we would be cooking with. We then got taken to a nearby river and transferred to our cooking class on a bamboo basket boat. After that we started our cooking class and it was amazing. The food was super tasty and the class was a great combination of fun and actual cooking. We made beef pho, homemade fish sauce, Vietnamese crispy pancakes, banana flower salad, grilled aubergine and yummy spring rolls. One of the other guests in our group was a Vietnamese guy who lives in Switzerland where he runs his own cooking class. He had been travelling up and down the country sampling other cooking classes and he said that he thought this one was the best. I definitely agree! 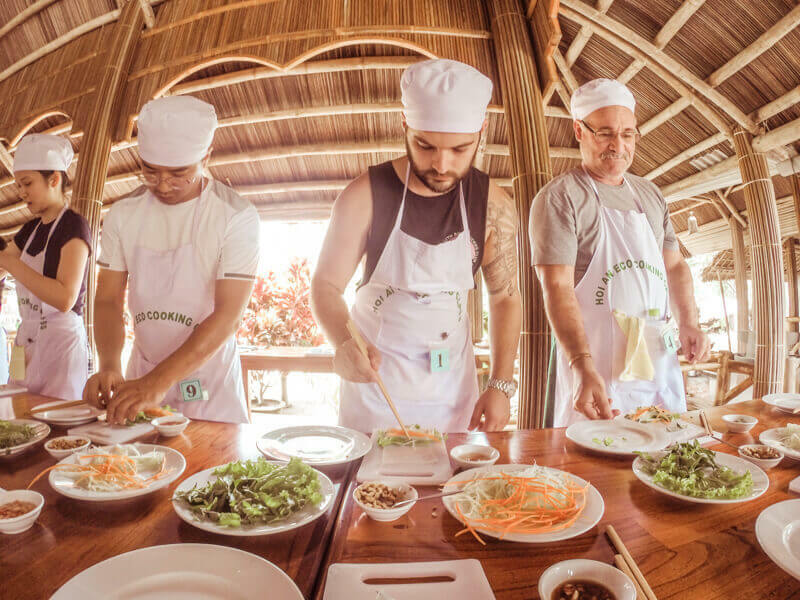 Find out more about how you can make your tastebuds very happy with the Hoi An Eco Cooking Class here. Bike tours have always been a favourite of ours. There’s just something freeing about getting onto a bike and exploring a brand new town or area. Hoi An is very walkable, so we were happy to find out that the bike tour we did explored an ‘off the beaten track’ part of the countryside that we had to travel for 45 minutes by boat to get to. We chose the Traditional Countryside tour operated by Heaven & Earth Bike Tours, and it was a wonderful day. Although Saigon and Hanoi are considered to be the street food meccas, Hoi An takes the cake for delicious food (in my opinion). There were so many places and foods that we enjoyed during our time there. Cao lau noodles for example are specialtynal speciality found only in Hoi An. Served with pork and local greens this dish was pretty damn tasty and we found it everywhere. Both banh mi eateries have their own loyal followings and both are worth trying for a quick lunch or snack. Then there was a little alleyway just after the Japanese Bridge that we fell in love with. We loved Nu Eatery (for the greatest steamed pork buns of all time), What Else (for delicious coffee) and Rosie’s Café (for tasty smoothie bowls). All 3 of these places were worth going back to and Rosie’s Café is also the best place we found for digital nomads, freelancers or anyone who works online to set up the laptop for a day and get stuck in. Cost and opening times vary for each place. The star of the show in Hoi An is the old town. You can move freely about the streets and meander along the river as much as you like without having to pay an entrance fee for most places. However, it’s worth noting that there is an entrance ticket to 22 different historic buildings, which offers you a little more insight into the history of the town. The ticket itself includes 5 tear-off coupons that you can use to make your selection of where you’d like to visit. The Japanese Bridge is one of these structures, and there are inspectors who will not let you cross the famous bridge without having this entrance ticket. You can just walk across it without surrendering one of the coupons, they are only necessary if you want to visit the inside of the small shrine that the bridge houses. For other pedestrians and non-ticket-havers, you’ll be directed to another free bridge 15 metres away instead. Is the ticket worth it? It’s up to you to decide. You can certainly see more than enough of the old town without it, but for a small price having access to some additional cool buildings like the Phuc Kien Assembly Hall makes it worth it. 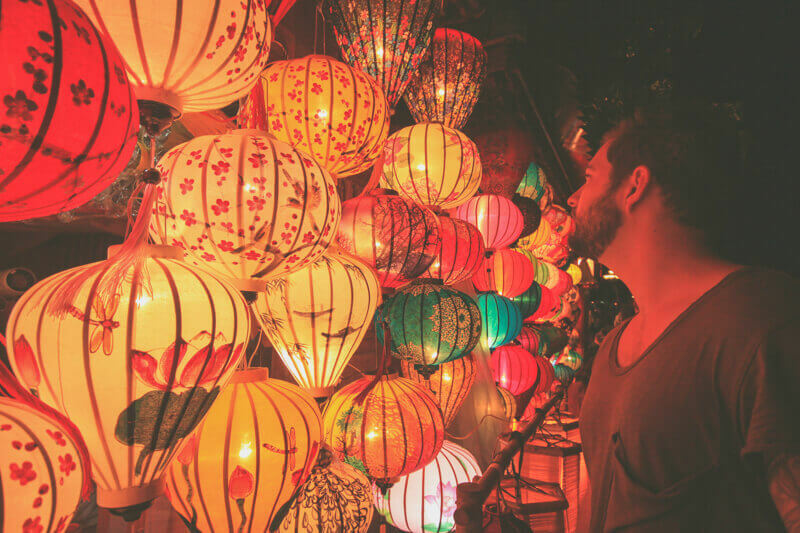 Buy a lantern – Hoi An is known for its beautiful lanterns, we paid 80,000 VND ($4 AUD) with minimal bargaining and it’s now hanging up at home! The most cosmopolitan city in Vietnam, Da Nang is often thought of as a miniature version of Singapore. With underrated sandy beaches and multiple day trip possibilities, this city is worth at least a few days of your time. Perched on a hill overlooking the Son Tra Peninsula is the 67 metre tall Lady Buddha. 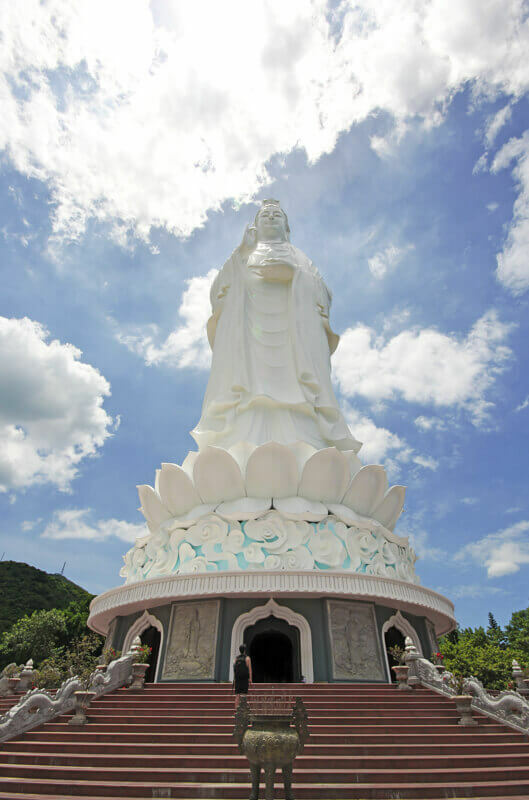 In pristine white, the statue of the female embodiment of Buddha is an imposing sight from the beaches of Da Nang, only 9 km away. The actual pagoda area that houses the Lady Buddha statue is quite interesting, featuring an ornate gate, numerous Buddhist statues and miniature bonsai trees. Many pilgrims filter through the pagoda as well as curious tourists. It is certainly worth a visit for the beautiful views if nothing else. Popularised by Top Gear, the Hai Van Pass is a mountain road famous for sprawling views and beautiful scenery. Da Nang is a great place to start, and the road will take you almost the whole way to the imperial city of Hue. We personally had a driver take us up and down the pass in a car, however the typical way to experience it is by motorbike. There are numerous places to hire motorbikes for the day (including many hostels and accommodation providers) or you can experience the pass as part of a tour. Note that if you book a bus from Da Nang to Hue (or vice versa) that it will usually take the tunnel instead of the scenic route. Fast forward to 3:18 in order to get to the part where Clarkson and gang take on the Hai Van Pass (until the 7-minute mark). Another popular trip to take from Da Nang is visiting the Marble Mountains. Collectively there are five mountains in this grouping, with the most common one to visit being the Water Mountain. Named after the elements, the others are fire, wood, earth and metal. 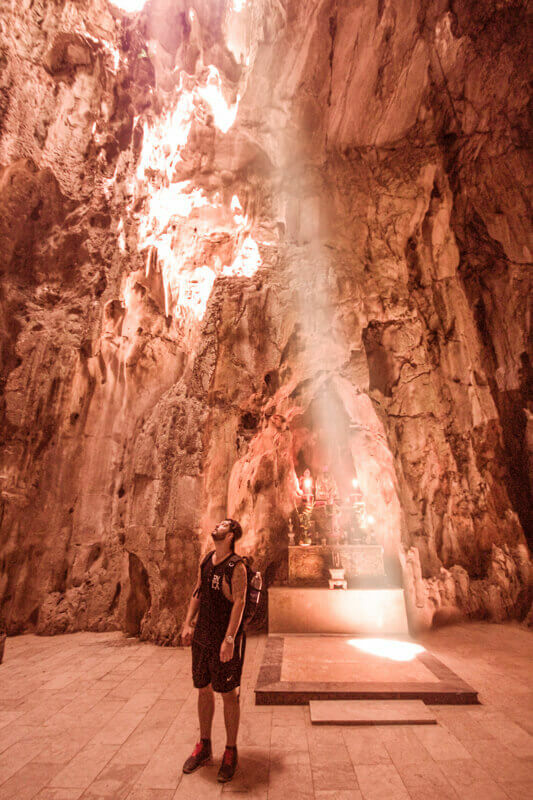 Located about 9 km south of Da Nang, the Marble Mountains are limestone karsts which Vietnam has become known for, similar to what you’ll find in Ha Long Bay, only this time on land. The Water Mountain has stairs leading up to numerous Buddhist shrines and a great view from the top; only it is a little hard to find the staircase to the actual peak. When we did get there, we had the view to ourselves for about 15 minutes. Although that was probably more of a testament to how hard it actually is to find the right path to get up there. Bring plenty of water, it gets crazy hot! Any capital city with a population of nearly 8 million people is bound to have plenty of options for travellers. Hanoi was both our final destination in Vietnam and a city that we used a jumping off point to get to Sa Pa and Ha Long Bay/Bai Tu Long Bay. It was equal parts chaotic and charming, and you’ll probably find yourself spending the majority of your time in the Hoan Kiem district during your stay. Hanoi’s Old Quarter is a great introduction into the ebb and flow of the city. The traffic is madness and you’ll find yourself reminiscing about the ‘good old days’ when you could cross the road in Hoi An and there was no other vehicles in sight. Also, one of the more unique nuances about Hanoi is that many of the streets are dedicated to a single trade. For example, there’s an entire street that is dedicated to selling kitchen appliances, one that is dedicated to selling shoes, etc. Very cool! Once you get used to walking on the road (because the footpaths are completely taken over by motorbikes), the Old Quarter is easily navigable and just watching the locals going about their day from a café is a great way to pass the time. 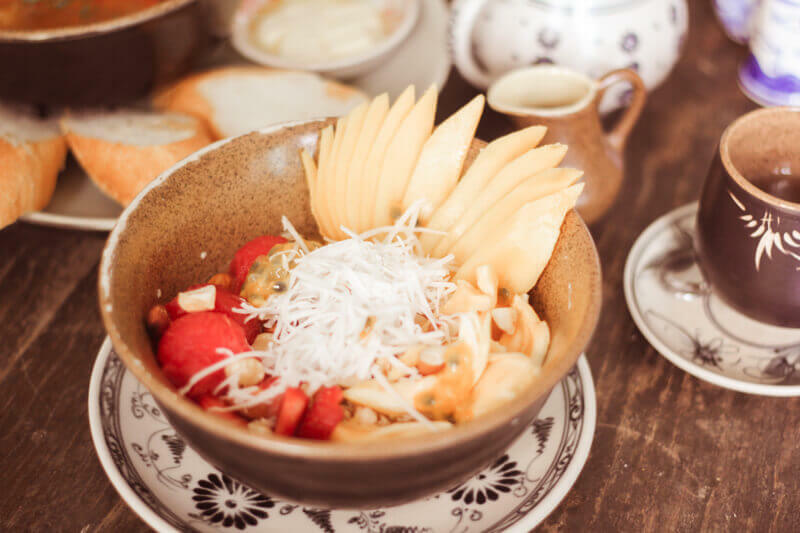 We found countless places offering great coffee and food, including Hanoi Social Club, Sketch Café and a delightful vegan joint called Jalus (aka Maggie’s version of heaven). Morbid curiosity might lead you to want to see the embalmed body of Vietnam’s ex-president, Ho Chi Minh. The mausoleum is heavily guarded and the building itself presents as a classic work of communist architecture. It can get really crowded too, as this is a very popular tourist site. The style of the columns give the impression that you are visiting the tomb of an ancient Greek or Roman god – which is not far from the intention as Ho Chi Minh was revered by many as an important revolutionary. Whatever your view is on him, the important thing to remember when visiting here is to be super respectful, dress modestly and don’t take any photos inside. Dedicated to Confucius, the Temple of Literature is the former home of Vietnam’s first university. Built in 1070, the grounds of the temple are quite peaceful and worth a visit for fans of imperial style architecture. There are a few shrines inside which are dedicated to Confucius and feature a number of sages also. Though the English information within is limited, we enjoyed this temple as a nice place to escape the busy streets for a while and to take some nice photos. Growing in popularity by the day, Sa Pa is a rural haven that features iconic rice fields galore. Northern Vietnam offers a very different experience to anywhere else in the country. The landscape is vastly mountainous and the climate doesn’t have the harsh humidity that you experience almost everywhere else. Rather than list a few things to do in Sa Pa, you only really need to consider two choices for spending your time: relaxing or trekking. Trekking is what the vast majority of visitors do in Sa Pa, and it is exactly what you’d expect from a place offering mountain vistas galore. Hiring a local guide is a great option as there have been cases of tourists going missing or getting stuck for ages in inclement weather. It also helps to have someone familiar with the terrain when doing one of the many multi-day hikes. Often you can just organise these trips with your accommodation. Remember to pack light, wear sturdy shoes and bring more water than you think you’ll need. Then, of course, is the relaxation part. When Maggie and I got to Sa Pa, all we wanted to do was relax. It was the tail end of a 3-month trip through Europe and Southeast Asia and we’d already hiked enough in Laos a week earlier. We spent our time visiting cafes with views of the Muong Hoa Valley (including the very hipster Hill Station) and treated ourselves to a lovely stay at the Topas Ecolodge (pictured above). The ecolodge featured herbal baths (including one with brandy and ginger) and a full spa treatment menu to soothe every ache and pain. If you can’t swing the cost of the accommodation for the night (or there is no availability), their infinity pool is accessible by paying for a day pass at their office in Sa Pa for a reasonable 500,000 VND ($27 AUD). 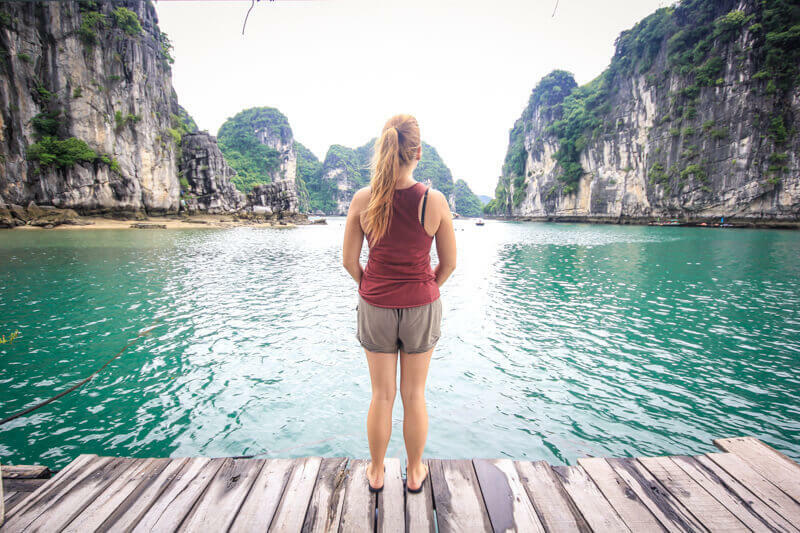 When you think of Ha Long Bay, you think of stunning limestone karsts piercing through the ocean like emeralds. Unfortunately, however, the reality is that tourism has become a little too popular at the UNESCO World Heritage site. Litter floats through the sea and boats crammed full of punters fill every inlet and cove. Party boats sidle up alongside sleeping retirees. No one is winning, especially not the environment. Lucky for us, we were fortunate enough to discover it’s much prettier and quieter neighbour, Bai Tu Long Bay. Vietnam travel guide top tip: We travelled with Indochina Junk, and were extremely happy with our decision to go off the beaten track with them. The itinerary that we chose put us on the Dragon Legend boat for 3 days and 2 nights. We wanted to treat ourselves to a bit of luxury and we certainly weren’t disappointed. Despite its size, the Dragon Legend has only 24 cabins; each one decorated with traditional Vietnamese carvings and (most importantly) a ridiculously comfortable bed. And the food? Absolutely delicious. Oh. My. Gosh. We ate what felt like an 8-course dinner on both nights and Maggie was catered for, ridiculously well as a vegan. She never wanted to leave. The barbecue lunch on the beach was a highlight too. As with all tours, the tour guide can make or break the whole experience. Our guide, Smiley, was possibly one of the funniest people we encountered on our whole trip in Vietnam. He did a great job of keeping us informed and entertained throughout the experience. Luckily, the weather was kind to us and we got to go kayaking on both the first and second day of the trip. We also met some awesome travellers on this tour. Although we went into it thinking it might be a slightly older crowd due to the price, we were pleasantly surprised to meet plenty of other couples in their twenties. There is a bit of a stigma that cruises are for oldies but this was certainly not true in this case. There are not many companies currently offering trips to Bai Tu Long Bay, but in a way, I hope it stays like that. Indochina Junk was absolutely first rate and they have a huge focus on protecting the environment too – something that is lacking with some other operators in Ha Long Bay it seems. We were happy to do our part and help collect any plastic while kayaking and help the boat crew to dispose of it in an environmentally-friendly way. So if the vegan in Maggie wasn’t already in love, then the environmentalist in her was definitely ready to live on this boat forever. I absolutely recommend visiting Bai Tu Long Bay instead of Ha Long Bay. It was fantastic and one of the highlights during our travels through Vietnam. We were super impressed with Indochina Junk; find out more about them here. Vietnam is the kind of country where you could easily spend a couple of months slowly covering ground and meandering from town to town. For most travellers, however, they try to fit in a few key cities and experiences within a few weeks. Unlike a lot of other destinations, the time of year you visit Vietnam isn’t going to have a huge impact on your overall itinerary. Even in the rainy season you can catch days full of blue skies and spend them at the beach. Likewise, there is not a seriously cold season that impedes your coastal travel plans either. 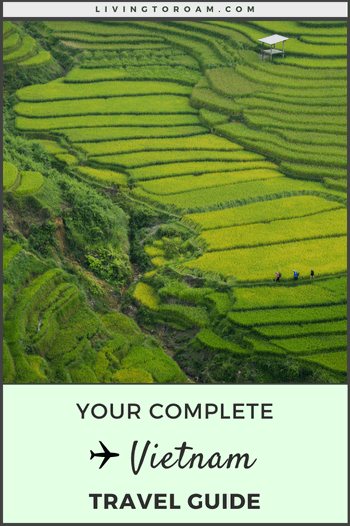 For the purpose of this Vietnam travel guide, I’ve put together a sample 3-week itinerary to give you an indication of what is possible when you factor in transport and which cities have the most to offer. You can certainly take it in reverse order if you were to start in Hanoi instead of Ho Chi Minh City. This is based on what we personally experienced in each city, so I’m sure there are plenty of other options too. Everyone has different needs and wants when they travel so tweak it to suit your own travel style. For recommendations on companies we used for each of the activities and day trips mentioned below, make sure to scroll to the relevant sections in this travel guide for the links! Fly into Saigon and get accustomed to the Vietnamese city that’s always on the move. Spend the evening on a free food tour and get ready for a busy few days! Spend day 2 enjoying a free walking tour and getting yourself oriented, and then hit the War Remnants Museum up in the afternoon. On day 3 explore the Cu Chi tunnels in the morning and then in the evening it’s time to café hop throughout The Café Apartment’s many culinary and caffeinated options. Catch the AO Show at the opera house to round out the night and get set to fly to Nha Trang on day 4 where you’ll spend the afternoon lazing about. Spend day 5 enjoying the beach and then head to one of the many mud baths in the afternoon as the crowds start to thin out. On day 6 it’s an early start for one of the many snorkelling and diving day trips in the Hon Mun Marine Protected Area. Catch the overnight bus with The Sinh Tourist to get to Hoi An on the cheap. Day 7 is about taking it slow and exploring the Old Town as you’ll be arriving early with the bus. Spend the day café hopping and trying some of the local delicacies like cao lau and banh mi. On day 8 take a cooking class in the morning and spend your evening exploring the many shops and market stalls on the riverside. Day 9 you can opt for an afternoon bike tour after eating a healthy breakfast at one of the many cute cafes in the old town, and finish off with some bia hoi (more on this in ‘food and drink’) across the river. Lastly, grab a banh mi for the road, hire a bicycle and spend day 10 beach hopping along the beautiful coastline. On day 11 it’s a short drive to Da Nang in the morning and a full day of sightseeing ahead. After arriving from Hoi An, hire a driver for a day and take on the Marble Mountains first up. Grab a quick lunch and then head to the other side of town to see the Lady Buddha and the awesome view of the Son Tra Peninsula. Finish off by spending the evening at the My Khe beach. One Day 12, get up early to take on the Hai Van Pass by motorbike and spend the full day in imperial Hue before riding back into Da Nang. 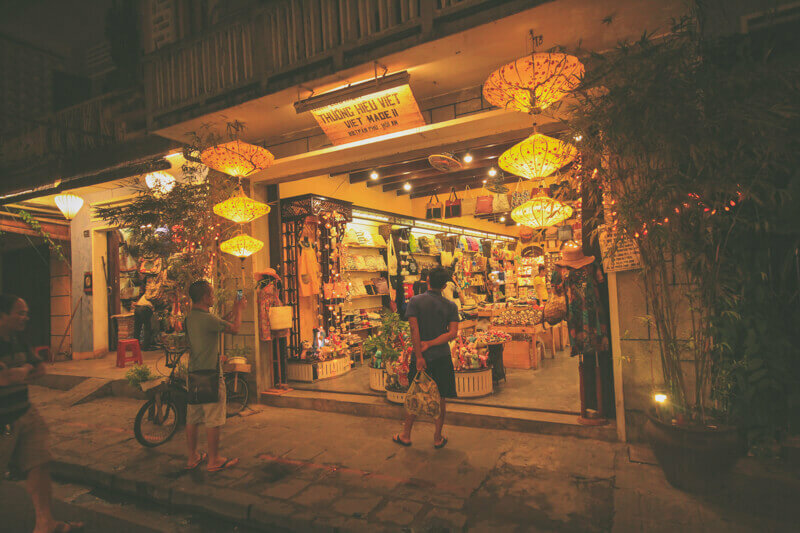 Grab an early flight from Da Nang to Hanoi on day 13 and get acquainted with the Old Quarter. Visit the Temple of Literature in the afternoon and spend the evening drinking bia hoi; a popular pastime of Hanoi locals. Day 14 is about café hopping but first stop off to see Ho Chi Minh’s Mausoleum early to attempt to beat the queues. There are plenty of cafes near Hoan Kiem Lake that you can people watch from and food options galore. If you’re feeling cultural, take in the Thang Long Puppet Show to finish off your night. The underrated Bai Tu Long Bay is next for days 15 through to 17, leaving Hanoi early in the morning and transferring by luxury van to the port. After meeting your fellow passengers you’ll be taken on a magical few days experiencing kayaking, relaxation and more food than you can handle. 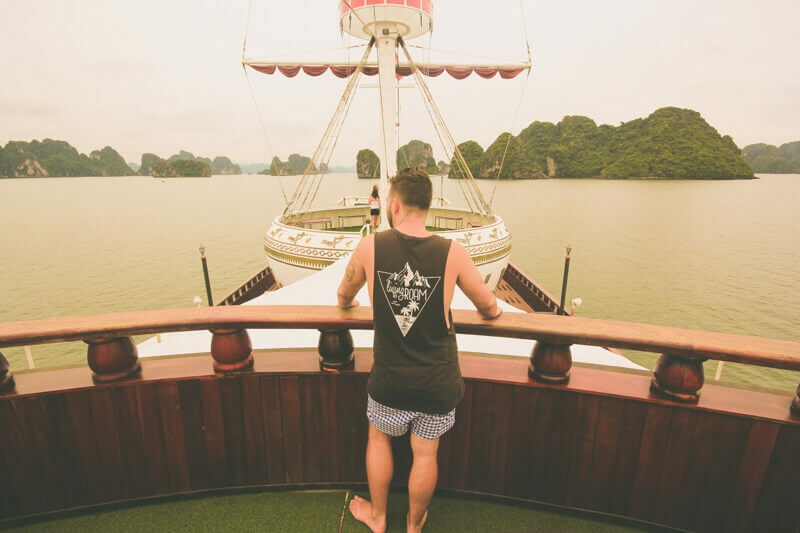 In typical cruise ship fashion, the team at Indochina Junk are brilliant hosts and will show you the very best that the region has to offer. Your transfer back to Hanoi on day 17 will arrive at around 5pm, just enough time to recover before another early morning en route to Sa Pa tomorrow. Take a ride on the bus with Sapa Express in the morning of day 18 to make it to the mountainside town just after midday. 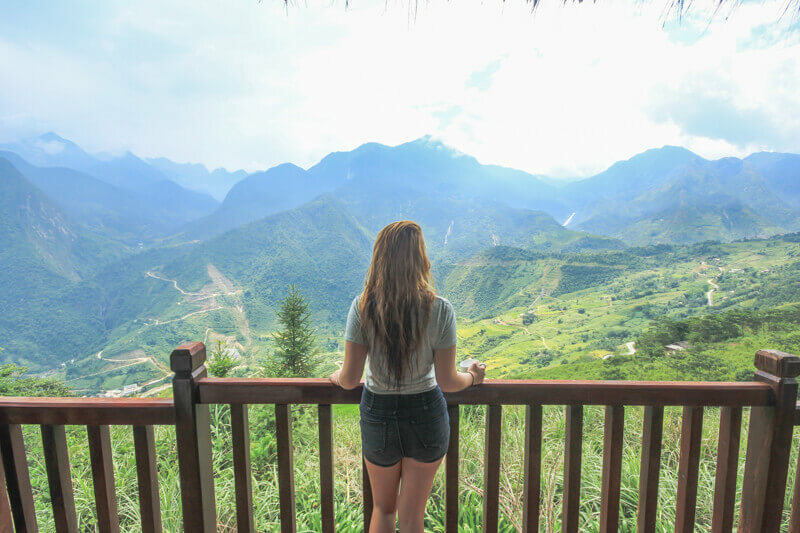 After checking in to your accommodation explore the small town and catch some breathtaking views at one of the many cafes that overlook the Muong Hoa Valley. Day 19 is all about luxury as you head to the stunning Topas Ecolodge. Catch the free morning transfer from their booking office in town and enjoy the infinity pool or a spa treatment until your room is ready. Then either enjoy a hike in the surrounding valley or just take it slow for the rest of the evening. On day 20 take a transfer back into Sa Pa town and then jump on the afternoon bus back to Hanoi. It’s your final day in Vietnam so take in as much of the delicious Vietnamese coffee and pho that you can handle. Prepare for life after Vietnam and get ready to feel all of the feels as you land back home and already start to miss the chaos of the traffic and the warmth of the people. I admit it, I’m a coffee-fiend. Though you might have already got that impression from all the ‘café hopping’ suggestions in the sample itinerary above. As an Australian it can be easy to act like a coffee snob whenever you can’t get a delicious flat white overseas like they make ‘back home’. In Vietnam however, you might just find something even better. Vietnam travel guide top tip: Vietnamese coffee is ridiculously tasty and very, very addictive. It is usually served dark roasted strained through a stainless steel filter, with a small amount of condensed milk to take the edge off. Because of the condensed milk, sugar is very rarely added. It is also important to add the milk first so that the hot filtered coffee can drip through and mix. We tried Vietnamese coffee in so many different places, both hot and cold, and it was consistently delicious. There are so many cafés in Vietnam that you never have to spend long looking for a place to relax and take a break from sightseeing. Cong Ca Phe is a common chain which you’ll notice everywhere, famous for it’s coconut coffees and communist memorabilia. 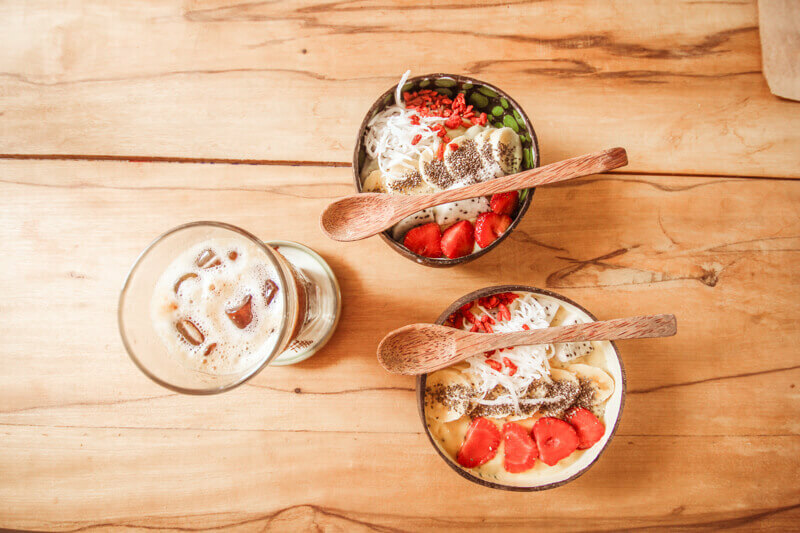 Egg coffee is another Vietnamese specialty that you’ll have to try along the way too. Keeping it liquid, let’s move onto the beer situation in Vietnam. Drinking ‘bia hoi’ (literally ‘fresh beer’) on the streets is a bit of novelty for anyone that is subject to strict drinking regulations in their home country (cough, Australia). The fact that you can pull up a red or blue plastic stool on the footpath (or road) and drink beers with locals is great, but the fact that it’s also tasty and cheap is a mega bonus. Generally, bia hoi is quite light (around 2.5-4% alcohol) and you can often find a brew for less than 10,000 VND (just over 50c AUD)! Now, where to start on Vietnamese food? The staples that have permeated Western culture are alive and kicking in Vietnam as you’d expect. Like banh mi, a Vietnamese baguette filled with salad, paté and grilled meats. There’s also phở (pronounced ‘fuh’ or ‘fuhr’), Vietnamese soup in an aromatic stock with white rice noodles and thin slices of beef. The similarities to French cuisine are definitely there, but with a brilliant Southeast Asian twist. Another specialty to try is banh xeo, a crispy Vietnamese pancake that is often served with whole prawns cooked inside and looks almost like a crispy, aerated calzone. It is not eaten with cutlery, but instead a fresh bowl of leafy greens is placed on your table and are then used to grab hold of the pancake. Very delicious! I found the food in Vietnam to be really light overall, and I never got that stodgy feeling that you do from say eating too much pasta or a heavy meal. The fruit here is fantastic too. Most of our accommodations provided a mix of bananas, watermelon and my new favourite, dragon fruit, most mornings for breakfast. Lastly, this is the first long trip that Maggie has taken as a vegan. We were pleasantly surprised with the number of vegan restaurants in most of the cities mentioned in this Vietnam travel guide, and their cuisine is generally customisable to cut out meat or dairy in most instances. The main difficulty she found was that eggs are used in many Vietnamese dishes. Even still, I am confident that vegans won’t go hungry here! Take a deep breath. That was 13,000 words worth of Vietnam travel guide you just got through! A virtual high five and a big thank you for making it to the end. I really hope that you are feeling inspired and excited about travelling to Vietnam one day, it truly is a fantastic country. 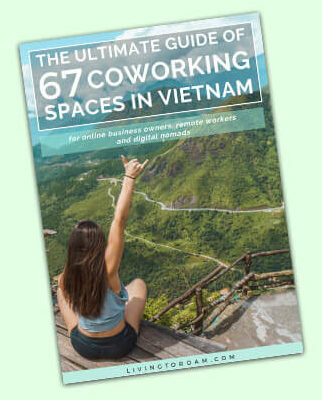 If you’re a business owner, freelancer or remote worker on your way to Vietnam, download your free coworking guide below! Be sure to share the post with anyone you want to visit Vietnam with, or one of your friends you know is travelling there soon. Are you a business owner, freelancer or remote worker travelling to Vietnam? Subscribe to our newsletter and get instant access to your ultimate guide of coworking spaces in Vietnam! 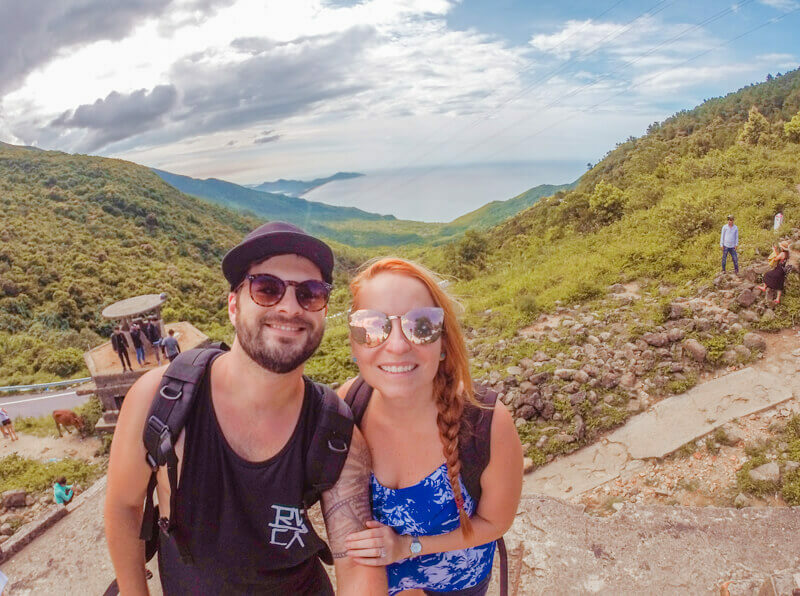 Maggie and Nick, thank you so much for this detailed guide to Vietnam and for sharing your experiences! As a naive Westerner who’s never traveled south east asia before, this post is so useful for planning and preparing for my trip. You’ve saved me countless hours of google searching odds and ends by consolidating all this information into a single comprehensive guide. Thanks!! Hi Vera, thank you for taking the time to leave us a comment! It’s much appreciated. This post is such a long read but we’re really glad that you’ve found it useful as one giant source of information. 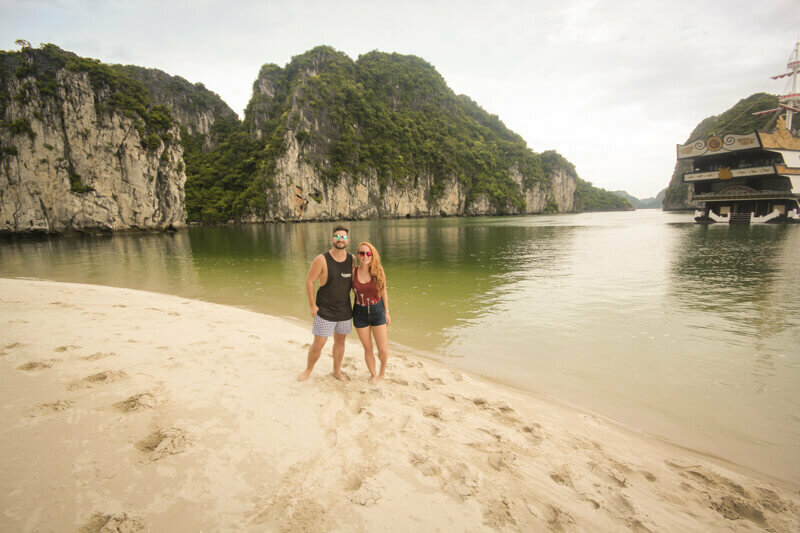 Vietnam is a great place to visit as a first-timer to Southeast Asia and for us, it was a definite highlight of our year. Please let us know how your trip goes… we’d love to hear some stories! Hi Nick & Maggie, my husband & i are planning a trip to Vietnam next March. This post is by far the most informative one i have ever seen before . We look forward to seeing a lot of the places you have mentioned. We are also huge coffee lover’s as well as Vegerarian’s . So pleased we will be able to eat well there. Thanks for all the helpful tips.